February 1, 2016 January 31, 2016 / Elizabeth T.
Can you all believe that the first month of January is already over? I’m in absolute awe at how fast time’s passed! It’s already been one whole month since 2016 started, and it’s almost been two weeks since it was my birthday! Yikes! Time sure flies! Before we know it, it’ll be 2017 already! Hahaha! Anyways, as with every month’s end, I’m back with a roundup of some of my favorites for this month, so let’s get started! First up is this super great read from author, blogger, and entrepreneur Mark Manson. He writes mainly about personal development, and I love that his advice is always so realistic and perfect for twenty-somethings. His newest article titled “Your Goals Are Overated” presents a really insightful view into why more often than not, our New Years’ resolutions are almost always forgotten come the middle of the year, and I really agree with his perspective about developing habits, acquiring knowledge, and honing new skills as a way to invest in yourself. Though it’s a lengthy read for a blog post (about 20 to 30 minutes), I promise you’ll really enjoy it, especially if you’ve been feeling a little lost and confused. 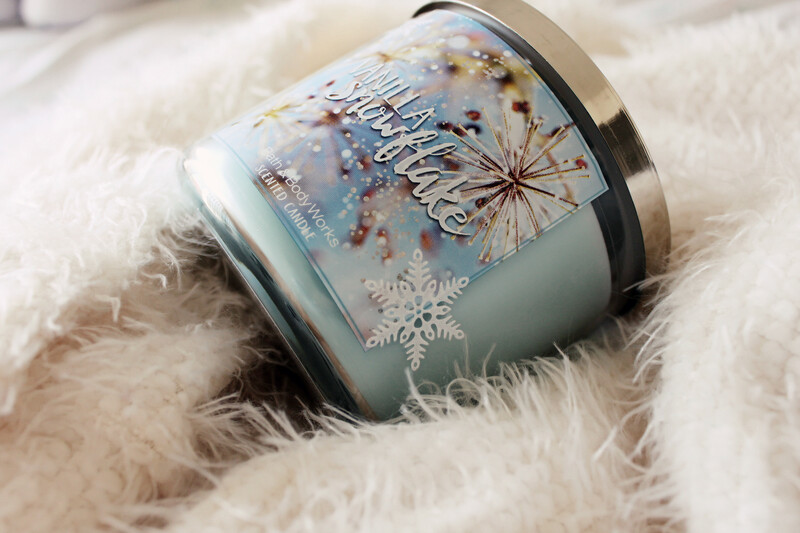 Next, I wanted to talk about my absolute favorite candle for these past two months, the Bath and Body Works Vanilla Snowflake 3-Wick Candle. I love how sweet and feminine it smells, with a delectable blend of creamy vanilla and wintry mint. I’ve been lighting this whenever I get the chance, and I love how it makes my whole room smell like a winter wonderland! Other than the Vanilla Snowflake candle, my other absolute favorite scent has been Chloe Eau de Parfum Spray. My mom actually got me this for Christmas because she thought the light scent of peonies and rose were perfect for me, very understated, yet feminine and chic. I have to say, a mother definitely knows her daughter best! 😀 I haven’t been able to stop wearing this beautiful scent, and it just makes it so much more special that my mom bought it for me, so whenever I spray it in the morning, I always think of her. Haha maybe that was her goal LOL 😛 So I’ll come home for dinner more instead of always eating out with my friends hahaha! Another beauty purchase that I made this past month and half left me pleasantly surprised, and that’s none other than the Sephora Collection Eyelash Curler in Pink. I’ve heard a lot of mixed reviews about it, so I was a little hesitant to try it at first, but just a week before Christmas, my old drugstore curler broke, so I thought it was finally time to upgrade from the one that I’ve had since my high school days (LOL, I know, I’m frugal like that – I just switch out the pads regularly, but I didn’t see any need to buy a new one when the old worked just fine). I was on Sephora’s site, and I saw a lot of great reviews for the Shu Uemura and Shiseido curlers, though they were a little pricey. This Sephora one seemed good enough, and plus, there was a sale, so I just went ahead and added it to my shopping cart. And boy, am I glad I did! It really works great! 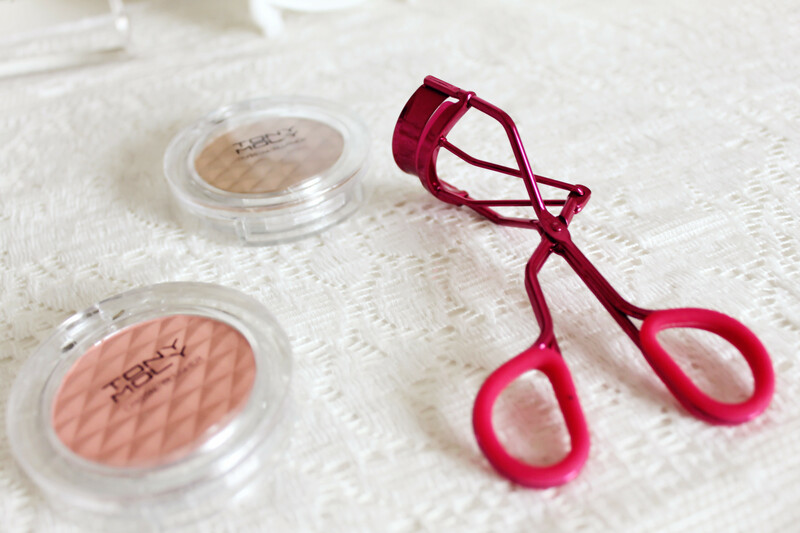 Not only does it curl my lashes with just one or two squeezes, the curls stay for the whole day! With just one coat of mascara, my lashes look so long and voluminous! Definitely recommend! 🙂 The Pink is sold out, but the Emerald and Amethyst is still available here! Coming up next is my Tangle Teezer, which I purchased as a result of Vicky’s recommendation. Because we both struggle with fine, thin hair, this comb, which is an Allure Best of Beauty award winner, really helps detangle hair without pulling or tugging at tangles. Since I’m naturally born with very thin hair, it’s very important to me that I don’t cause any more unnecessary hair loss, especially when I’m combing or brushing my long locks. I love how convenient this detangling brush is, and it really does a great job at detangling tangles gently. And lastly, as always, I’ll finish off with my favorite book for the month. 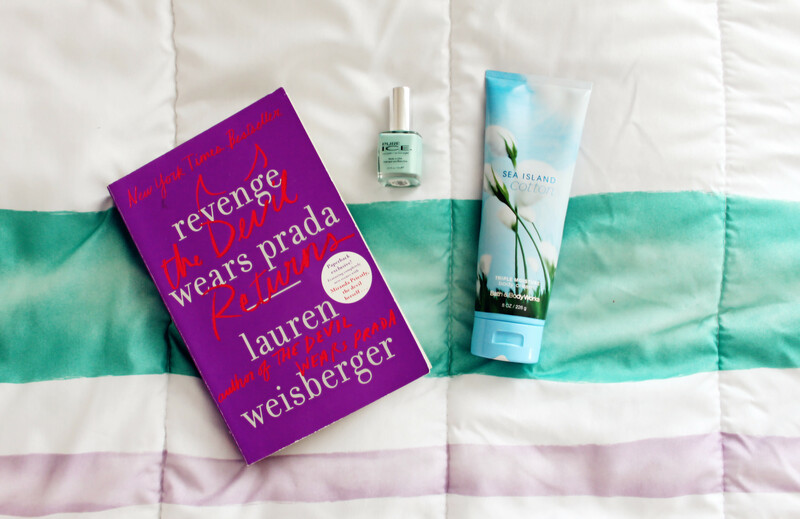 This month, it’s none other than Lauren Weisberger’s Revenge Wears Prada: The Devil Returns. It’s such a fun and interesting read, picking up 10 years after the original classic’s end. For those of you who were big fans of the first book, you’ll love this one just as much! I love how light and fun it is, making it a great read, especially after a long week. Great picks! The colors of them are so cute too! Haha yes, it’s really such a great and fun read 🙂 Perfect to wind down with before going to bed at night. And thank you so much Tiffany ❤ Hope you had a great January as well! Great favourites! Lovely blog you have! I have to read the book! looking for a good book! love the pink tangle teezer! they look all great! 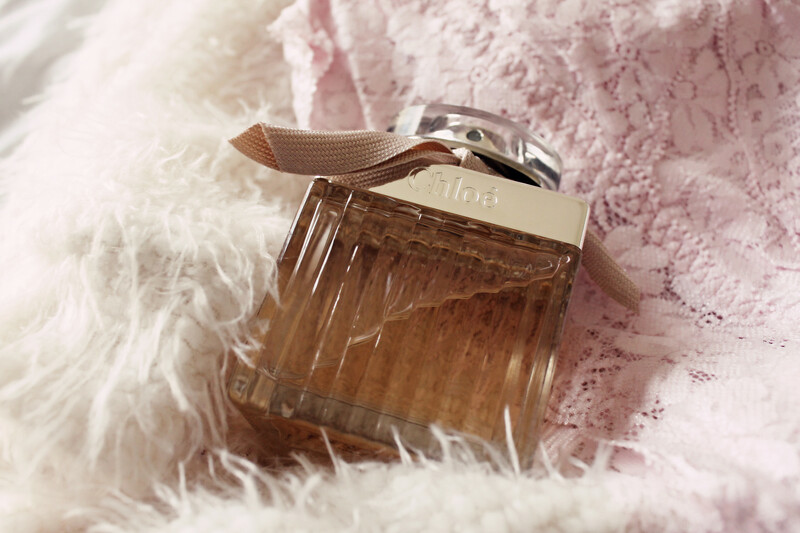 And I love the Chloe perfume! Thank you so much for stopping by love ❤ And yes, the Chloe perfume is my favorite too! I would love to test out that tangle teezer! I have very fine hair and a lot of it so it loves to tangle together then snap when I brush it! yikes! 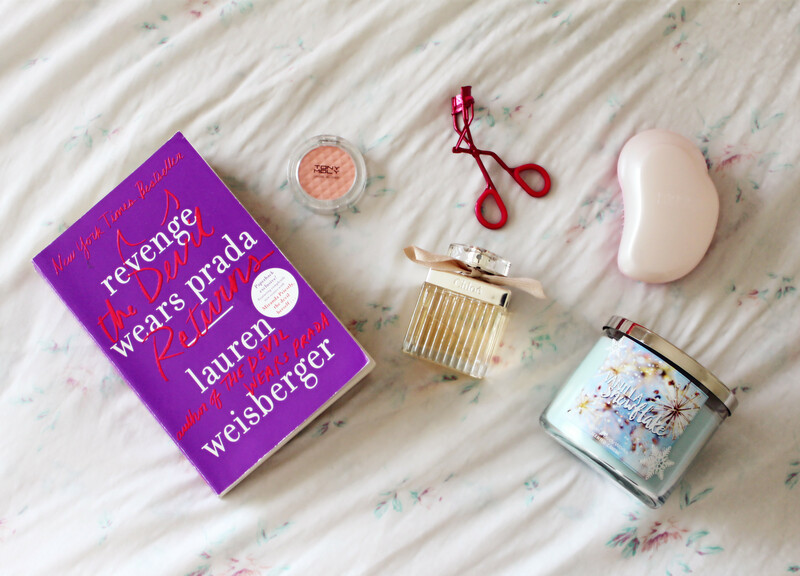 i had no idea there was a new devil wears prada book, definitely going to check it out! Haha yes, I didn’t know about it until I went on Amazon the other day and saw it in my recommendations list 🙂 Definitely a great and fun read! ❤ Thank you so much for stopping by Danielle! Amazing Jan Faves, lovely! I love all of your picks, we have such similar taste. I have heard so many great things about a tangle teaser and I definitely think it’s time to get it after reading your thoughts on it 😉 The book sounds like a great read! Hahah great minds think alike, right? 😀 And yes, you should definitely get it ❤ It's a really interesting little comb/brush! OMG I didn’t know there was a sequel to Devil Wears Prada! I totally want to read it now, maybe do a chick lit weekend and re-read the old one.Such a classic haha. Thanks for sharing! Haha yes! I didn’t know about the sequel until very recently, but once I knew, I knew I had to read it ❤ It's a super great read, so yes, you definitely should, love 😀 Thank you so much for stopping by!